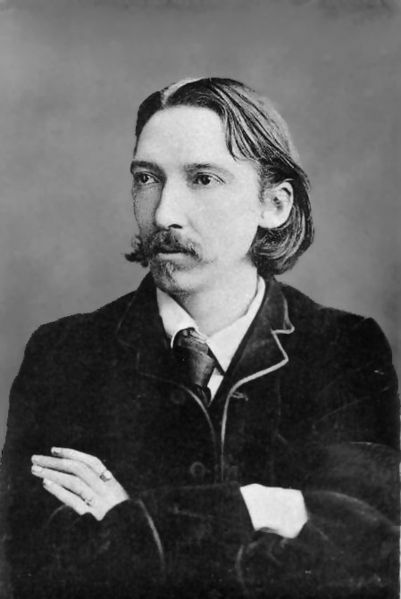 One of the twenty six most widely translated authors in the world, Robert Louis Stevenson was a Scottish novelist, poet, essayist, but most widely celebrated as an adventure writer. Best known for his novels Treasure Island (1883) and Strange Case of Dr. Jekyll and Mr. Hyde (1886), Stevenson wrote a number of lesser known short stories, inspired by his worldly travels, as well as children's poems in his collection, A Child's Garden of Verses (1905). Stevenson relocated extensively to climates he hoped would improve his poor health, traveling from Scotland to France, then upstate New York. In 1888, he chartered a yacht in San Francisco and sailed the South Pacific with his family for three years. His health improved considerably during his extensive adventures in the Hawaiian Islands, Tahiti, the Samoan Islands and New Zealand. He sailed on a voyage with a tyrant chief, openly chastised a Hawaiian minister named Dr. Hyde for berating a clergyman who ran a leprosy colony. In short, Stevenson's adventures in the South Pacific offered inspiring characters and settings for his later, best regarded work. Though Stevenson was popular, he was condemned during the rise of modern literature and World War One by writers like Virginia Woolf. Considered a second class writer, on par with children's literature and horror genres writers, he was excluded from literature taught in schools. Later, he regained respect and literary acclaim by the likes of Joseph Conrad, whom Stevenson influenced with his South Seas fiction. A little known fact about Stevenson was his accomplishment as a musical composer. He wrote over 123 original musical compositions for the instruments he played: flageolet, flute, clarinet, violin, guitar, mandolin, and piano. His musical scores included his poetry arranged as melodies, and in 1968 his composition for chamber orchestra was arranged by Robert Hughes and toured throughout the Pacific Northwest.